Spoken word artist Kwabena Antoine Nixon gives the keynote speech at the Summit on Black Male Youth. During the speech he asks the young men to raise their fists in power. Nixon asks all the men at the event to stand in front of the room to show the boys that there are men in the community that care about them and their success. WUWM's Teran Powell visits the sixth annual Summit on Black Male Youth. Alphonso Watkins (left) opens the session with libations -- asking the ancestors to grant blessings on the event and attendees. 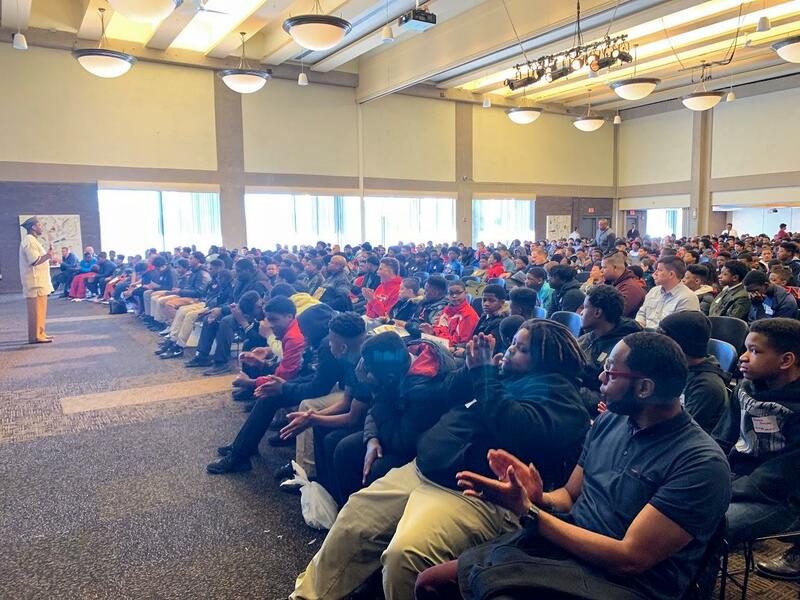 Jim Hill, the associate vice chancellor for student affairs at UWM, says he wants the young men to leave the summit knowing they have options in front of them to be successful. And, he adds, that there is a community behind them that wants them to go far. “For many of them, they don’t have positive men in their lives. And it gives them the opportunity to be exposed to men that care about them. That care about their future, that see value in them, that want them to be successful, want them to change the narrative about who they are, where they’re going and what their future looks like." Summit sessions ranged from The ABC’s of College Admission to Living in Color, from Overcoming Obstacles to What It Means to Be An African American Male. I sat it on the latter, where members of Alpha Phi Alpha Fraternity, Inc. lead a discussion about black manhood. Clint Myrick (left) and Terrell Freeman lead the What It Means To Be An African American Male session. Clint Myrick and Terrell Freeman explain why it was important for them to be part of that conversation. 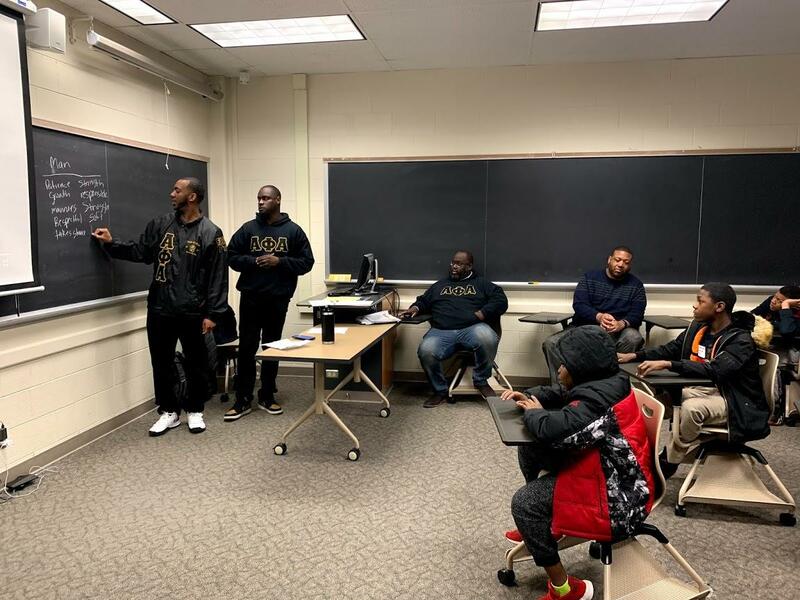 "They just need to see us, to see positive black men and we just gave them some tools, some things that they can take with them — that you’re smart, you’re strong, be confident, honest," Myrick says. Freeman adds, “If you think about it, in today’s society and on the news, you don’t really hear to many positive reinforcements when it comes to black people in general. There isn’t too much you see, you kind of have to search for it and it shouldn’t be that way. So, us knowing that hopefully we can just give that to them naturally. You guys are great, smart, intelligent, positive, caring leaders. They need to hear that on a daily basis." (From left to right) Randell Walls, Joseph Simpson and Jahvon Johnson. And a couple of the boys told me they’re leaving their first summit with some advice to take back to their friends. Not being followers is high on the list for sixth and fifth graders, Joseph Simpson and Jahvon Johnson. "Just do what you like to do. Don’t do what other people do, just do hard work because one day in life you’re going to make it," Simpson says. As for Johnson, he says, "I would like to tell my friends that it was very inspirational, and you should really follow your dreams. Don’t be a follower, be a leader." 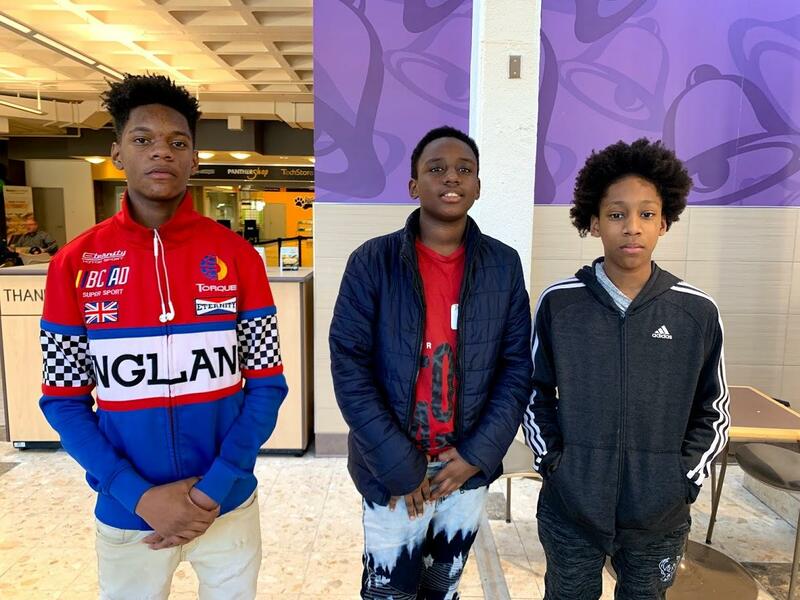 Summit organizers say they hope the young men will take advantage of follow-up workshops throughout the year so they’re aware of the different opportunities they have to be successful. Students at a Milwaukee charter school got a surprise visit Thursday afternoon from former first lady Michelle Obama. Several high school juniors from different Milwaukee schools were having an intimate conversation about college in the cafeteria of Milwaukee Collegiate Academy, when Obama walked in — they had no idea she would be there.